Your family and friends will love the “Great Outdoor Flavor” all year-round, in any kind of weather, for any occasion and for every meal. 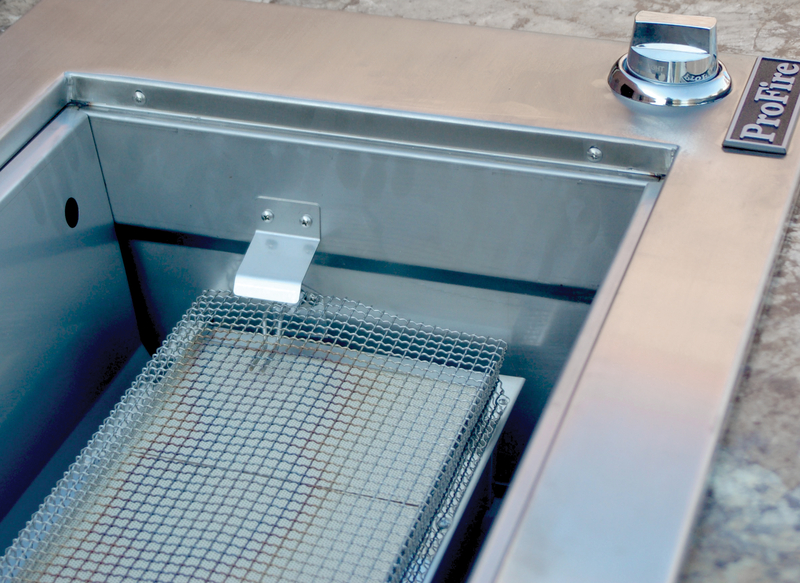 The all new, Patent-Pending, US Made, Infrared stainless steel constructed ProSear Indoor Grill is a first in the indoor market. Prepare food simply and effectively with that great outdoor flavor in an economical, safe and hassle-free way. 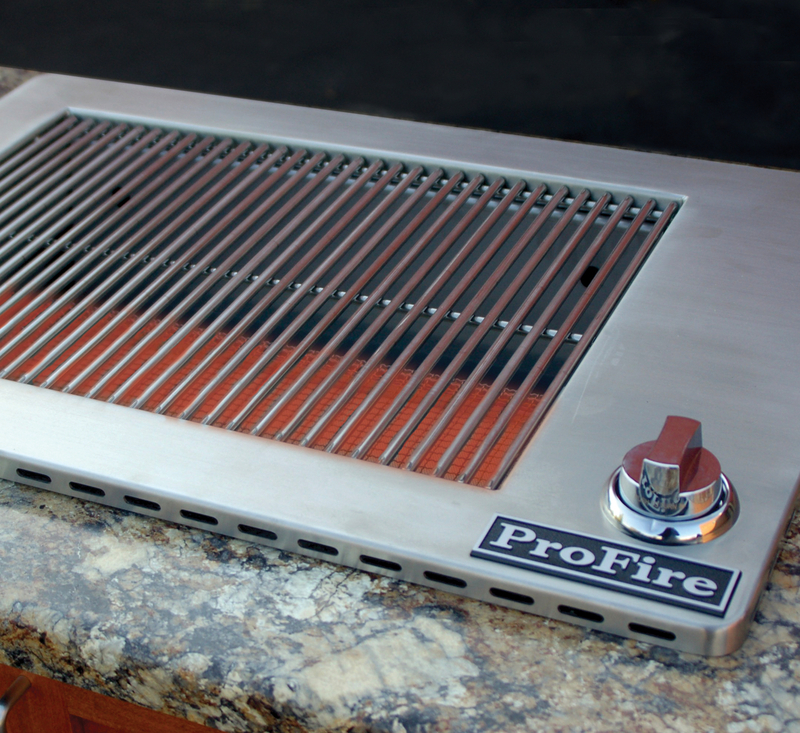 Delivering maximum performance and years of low-maintenance operation, ProFire has perfected the art of delicious restaurant grilled flavor with this High Quality Stainless Steel Indoor Infrared Grill. 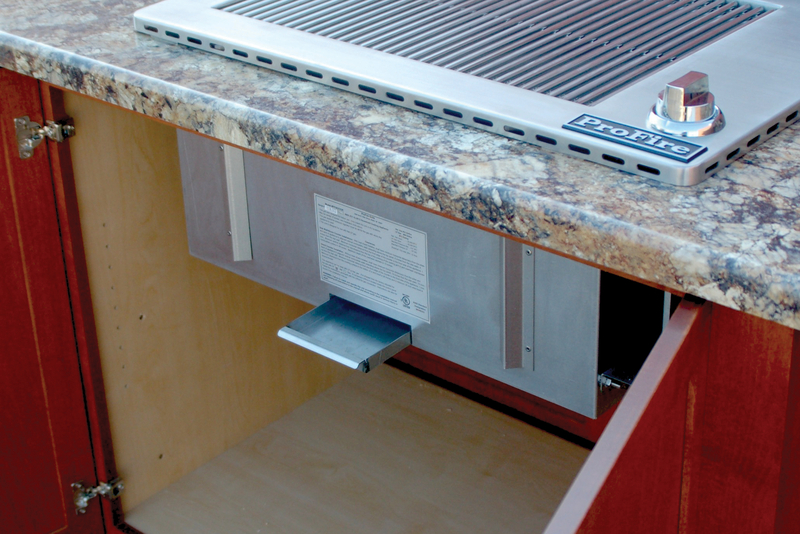 Limited lifetime warranty (on rust-through) on stainless steel cooking grids and stainless steel body components. 5 year warranty on infrared components and 1 year warranty on all other components. Side Wall/Alcove Counter Installations, with heat shield installed, shall have minimum horizontal distance(s) from the sides and back of appliance to adjacent vertical combustible walls extending above the top panel, 6 inches from the side walls, 4 inches from the rear wall. Minimum horizontal distance from the front edge of the counter to the front side of the appliance, 1 inch. Minimum vertical distance from the distance from the top of the cooking grid to an overhead unprotected combustible surface is 48″. Maximum depth of the overhead cabinets is 13 inches. 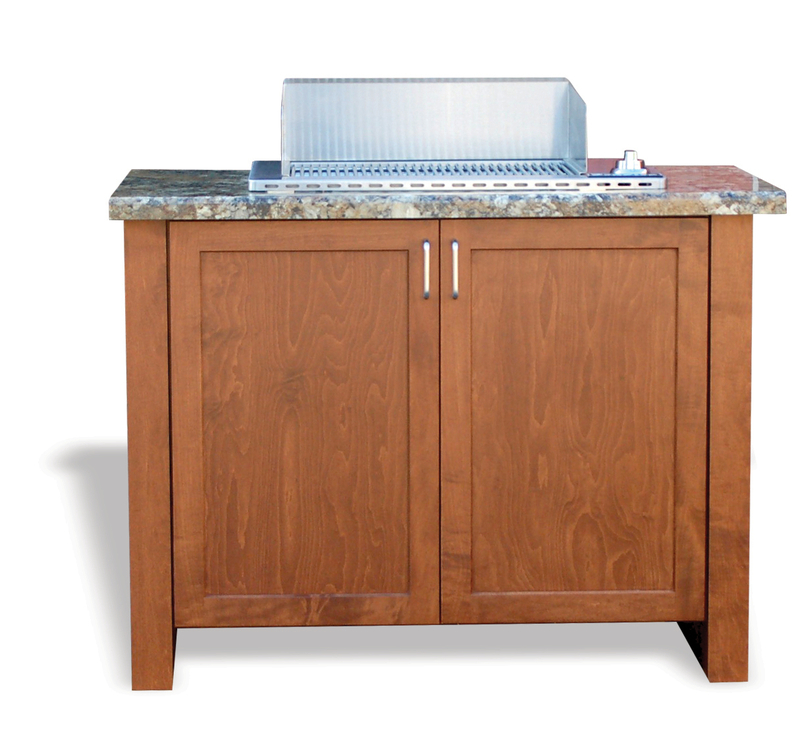 Island Counter Installation, without heat shield installed, shall have minimum horizontal distance(s) from the sides and back of appliance to adjacent vertical combustible walls extending above the top panel, 14 inches from the side walls, 14 inches from the rear wall. Minimum horizontal distance from the front edge of the counter to the front side of the appliance, 1 inch.